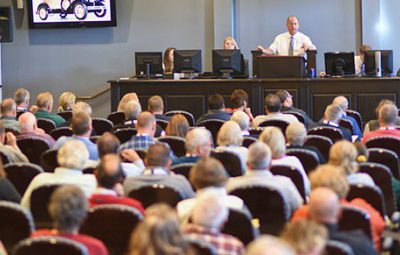 Morphy Auctions offers several options for buyers who prefer to bid online in the privacy of their own home. 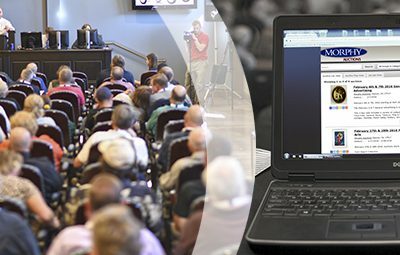 Learn about our online auction bidding options, including absentee bidding, bidding through MORPHY LIVE, or bidding in real-time through Invaluable. Ready to join us for an action-packed live auction in our state-of-the-art auction house located in Adamstown PA, the "Antiques Capital of the World?" Learn more about our auction house, the venue, plan your stay and more. If you can't make it to Morphy Auctions, we offer real-time bidding by phone during our auctions. Learn how live phone bidding works, and request a representative from Morphy Auctions to bid for you in an upcoming auction. 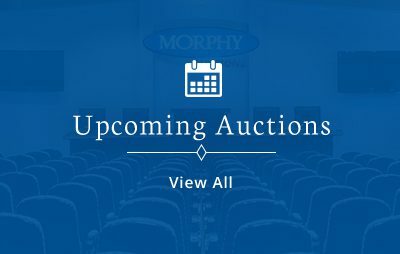 Have a question about bidding and buying through Morphy Auctions? Start here.